This chronological playlist was compiled after the lists of works on Wikipedia, Schott Music, and gyorgy-ligeti.com. It features recordings from the Ligeti Edition (Sony), Ligeti Project (Teldec) and dozens more albums. At the end,I added another set of the 18 Études from 18 different albums, including notable new releases from Yuja Wang, Jeremy Denk, and Pour Irina played by its dedicatee Irina Kataeva. Get this collection in one the Spotify playlist: György Ligeti: Complete Chronological Catalogue & Études Mix (299 tracks, total time: 16 hours) Ctrl (CMD) + G to browse in album view. 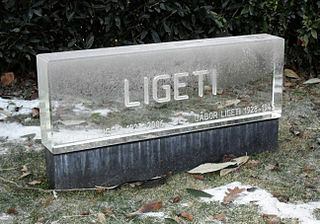 For Ligeti's music used in Kubrick's films, see this previous playlist. There's also a Salonen/Philharmonia recording of the new version that exists, but I couldn't find it on spotify.